From one of our most deeply admired storytellers, author of the richly acclaimed Gallatin Canyon, his first collection in nine years. Set in Thomas McGuane’s accustomed Big Sky country, with its mesmeric powers, these stories attest to the generous compass of his fellow feeling, as well as to his unique way with words and the comic genius that has inspired comparison with Twain and Gogol. The ties of family make for uncomfortable binds: A devoted son is horrified to discover his mother’s antics before she slipped into dementia. A father’s outdoor skills are no match for an ominous change in the weather. But complications arise equally in the absence of blood, as when lifelong friends on a fishing trip finally confront their deep dislike for each other. Or when a gifted traveling cattle breeder succumbs to the lure of a stranger’s offer of easy money. 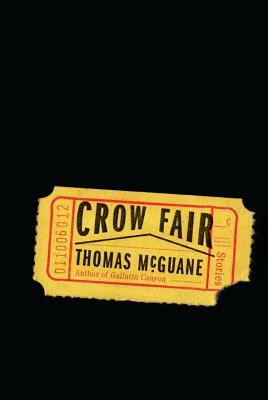 McGuane is as witty and large-hearted as we have ever known him—a jubilant, thunderous confirmation of his status as a modern master. Thomas McGuane lives in McLeod, Montana. He is a member of the American Academy of Arts and Letters and the author of ten novels, three works of nonfiction, and two other collections of stories. Thomas McGuane’s The Bushwacked Piano, The Cadence of Grass, Driving on the Rim, Gallatin Canyon, Keep the Change, The Longest Silence, Ninety-two in the Shade, Nobody’s Angel, Nothing but Blue Skies, Panama, Some Horses, Something to Be Desired, The Sporting Club, and To Skin a Cat are available in Vintage paperback.